I'm a huge fan of multi-purpose products, whether it's beauty related or for my home. 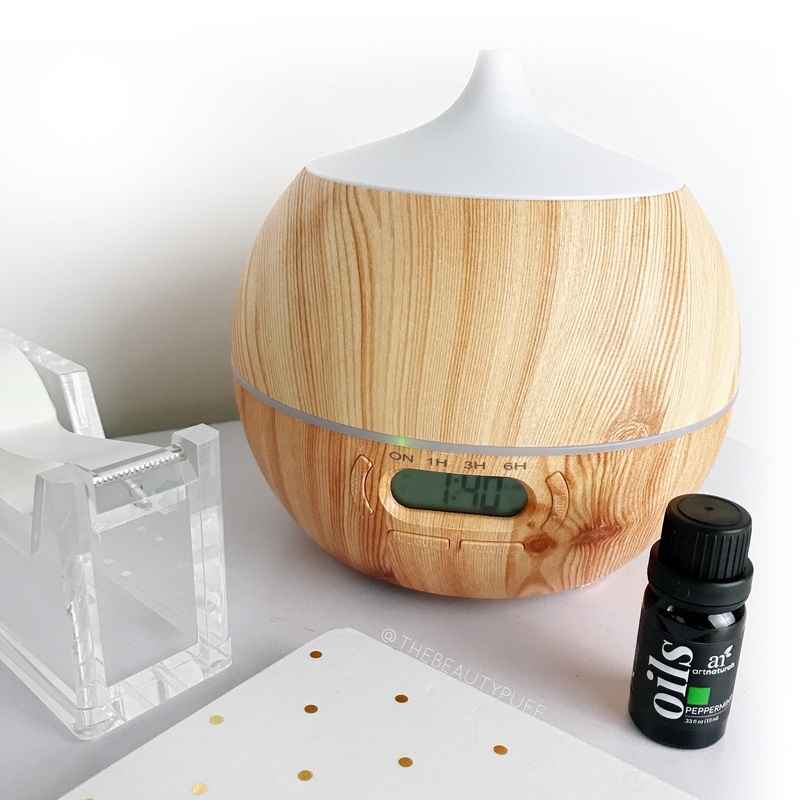 The ArtNaturals Bluetooth Oil Diffuser combines several useful functions all in one. Not only does it diffuse essential oils to create a relaxing atmosphere, but it also has a clock, alarm, LED light function, and Bluetooth technology so you can play music as well! 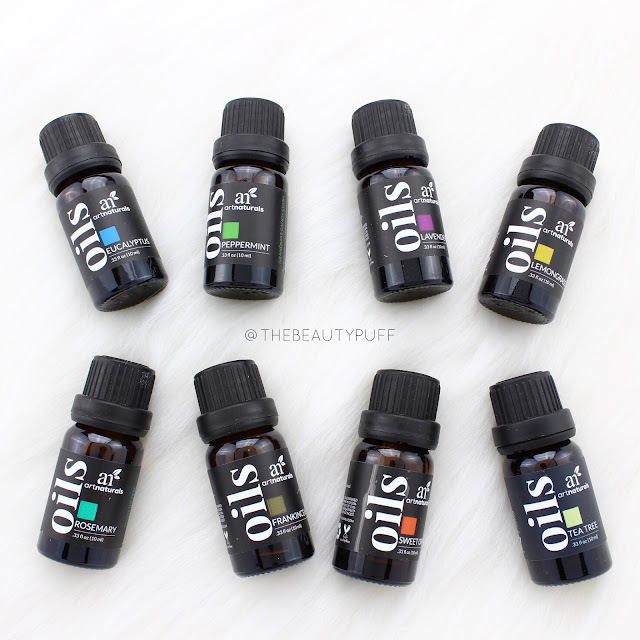 The Oils | I have the Top 8 Essential Oils and Bluetooth Diffuser Set which lets you sample some great oils to get you started. It comes with Eucalyptus, Frankincense, Lavender, Lemongrass, Peppermint, Rosemary, Sweet Orange, and Tea Tree Oil. My favorites are the Sweet Orange and Peppermint. The Peppermint is really relaxing and the Sweet Orange is the perfect citrus scent for spring and summer! Each oil is 100% pure and provides therapeutic benefits such as calming, purifying, and even killing germs. Bluetooth Oil Diffuser | As I said before, this diffuser is a great multi-tasker. I love the 7 different color light options to choose from. It can coordinate in any room I put it in and can be used without the light as well. Since it is a larger diffuser, I like that it serves as a clock and alarm as well. You can put it in a guest room or bedroom to create a calming atmosphere without taking up extra room on a nightstand. There are also different timer options so you can decide how long you want the diffuser to run. You can turn it on and off manually but also set it for 1,3 or 6 hours at a time. For music lovers, you'll love the Bluetooth technology incorporated into this diffuser. Just have your Bluetooth device about three feet away from the diffuser, choose "ArtNaturals" under available devices and enjoy! Volume controls on the diffuser are the Light (lower) and Mist (higher) buttons. The ArtNaturals Bluetooth Oil Diffuser makes a fabulous addition to any home and makes an even better gift! Whether it's for a birthday, housewarming or other holiday, this diffuser is a really thoughtful gift that appeals to a wide audience. Shop below and explore more of what ArtNaturals has to offer! Don't forget to follow @lusterhood on social media!